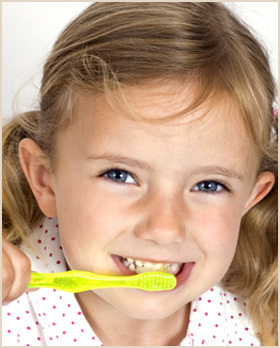 Our aim is to prevent dental disease rather than treat it at a later date. Bring your child to see us as soon as their first teeth start to come through. We will be able to give you advice on brushing and diet, as well as getting your children used to coming to the practice, so we can prevent problems from starting. If necessary, fluoride applications and fissure sealants (tooth coloured sealants) may be applied to the biting surfaces of children's teeth to prevent decay.